Our debut EP is now available for free download. Lingua Spiritus was recorded in Moscow and Yakutsk during the summer solstice of June 2011. All tracks are completely improvised. 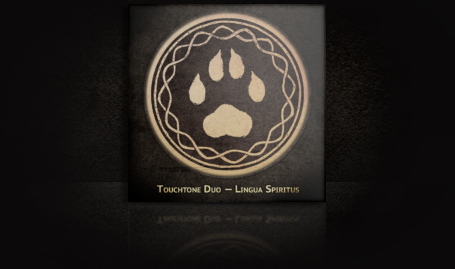 Touchtone Duo is an intercultural collaboration between two musicians who were brought together through the common love of a very small but complex instrument: the Jew's harp. Bridging both geographic and linguistic barriers, Aksenty Beskrovny (Moscow, Russia) and Deirdre Morgan (Vancouver, Canada) have found a way to communicate through the instrument by combining their different playing styles into intense improvised conversations, using a wide array of Jew's harps from around the world. "Hey ... your page here on OMN looks great! It is really a beautiful design! Greetings, Jens"